The recent excavation of an early 17th-century plague pit in London led archaeologists to somewhat unexpected conclusions. Whereas contemporary written accounts highlight the horrors and indignities of plague burial, the new-found site indicated an unforeseen degree of care and respect bestowed on the bodily remains of plague victims. The mass grave in question was excavated at a site near present-day Liverpool Street Station which used to be a municipal burial ground known as the New Churchyard or Bedlam burial ground, for its proximity to old Bedlam (or Bethlem) Hospital. Various London parishes used the New Churchyard – which was in use from the mid-16th to the early 18th century – as an overflow burial ground, especially (though not exclusively) for poorer parishioners. The excavated mass pit would have originally contained about 100 bodies, including men, women, and children of all ages, all of whom were placed in the pit within a brief timespan. Notwithstanding the sheer number of bodies in this grave, Robert Hartle, senior archaeologist at the Museum of London Archaeology (MOLA), concludes that “emergency burial practices appear orderly, not chaotic” (xviii). All bodies were laid out purposefully and care seems to have been taken to ensure that child burials and bodies covered only in shrouds would not be crushed by adult-sized coffins. There is no doubt that the upkeep of orderly burial practices in the midst of a major epidemic was an enormous, almost unfeasible, challenge for parish authorities. Where it succeeded, it must therefore be counted as a major achievement. Parishes were not only working against the clock, they were also faced with a serious shortage of resources, not to mention a terrified and demoralized populace. Excerpt from Richard Newcourt and William Faithorne’s 1658 map of London with the excavation site highlighted. Hartle, Robert, et al. 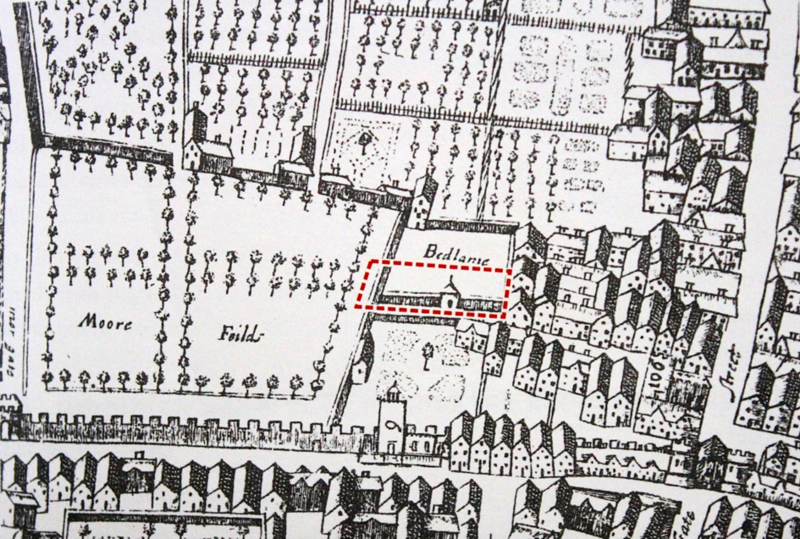 The New Churchyard: From Moorfields Marsh to Bethlem Burial Ground, Brokers Row and Liverpool Street. London: MOLA, 2017. 23. After all, epidemic diseases, and the plague in particular, caused massive devastation in early modern urban communities at semi-regular intervals. The plague of 1603, which reached its terrible climax in the months of August and September, claimed upward of 30,000 lives – a death toll which amounted to circa 20 % of the population of London. The next major outbreak in 1625 was no less devastating: over 35,000 men, women and children succumbed to the disease in 121 intra- and extramural parishes. Only a decade later, in 1636, the plague killed more than 10,000 Londoners and a minimum of 55,000 lives were lost in the ‘Great Plague’ of 1665 (the last outbreak of the disease in the British Isles). In times of plague, a market in more or less dubious medicines thrived. Fraudsters took the opportunity to profit from the despair, terror, and credulity of Londoners while earnest physicians toiled against the odds, prescribing new and traditional remedies to no avail. No amulets, nosegays, chewable preventatives, cordials, or mythical panaceas like Treacle Mithridate could ultimately protect one from the plague nor bring relief to those already infected. In fact, many treatments and precautionary measures, like purging and blood-letting, put further strain on already weakened bodies. It was generally believed that the plague and other malign elements could be forcibly expelled from the body. An anonymous medical tract titled A Brief Relation of the Plague at Naples (London, 1665) advocates drug-induced vomiting or the use of strong laxatives to expel the plague and “cleanse the body, either upwards by Vomits, or downward by Stools” (3). Chemist and physician Richard Barker prescribed a similar course of action in his 1665 Consilium Anti-Pestilentiale. He instructs his patients to lie down immediately upon taking a special drug and “within a quarter or half an hour” they “will find its operation either by stool, urine, sweat, vomit, bleeding at the nose; sometimes by most, and sometimes by all these” (3). This, Barker insists, is no cause for serious concern but “a certain sign of your Cure” (ibid.). For prevention of the dreaded disease, Barker recommends a big breakfast and some beer with sulfur or “true Spirit of Salt” (i.e. hydrochloric acid). It also helps to carry on one’s person a ball of tobacco leaves soaked in vinegar, to smell this often and, from time to time, to rub it against one’s temples. Smoking tobacco with “Flower of Sulphur” (sulfur powder) or “Oyl of Amber” (either melted amber or ambergris) is advisable and at night one might drink a precautionary glass of Canary wine sprinkled with sulfur (1). William Boraston expresses confidence in the benefits of monthly “fleubotomie” (phlebotomy or blood-letting) for healthy adults in his Necessarie and Briefe Treatise on the Contagious Disease of the Pestilence (1630). When the first symptoms of the plague are felt, a blood-letting should be promptly undertaken and sleep afterwards should be avoided: “when a man findeth himself infected, as soone as possible may be, let him let bloud in as ample manner that he almost faint thereon, for the taking of small quantity of bloud stirreth up the venomous quality more forcibly.” (29) Dutch physician Isbrandus Diemerbroick, on the other hand rejects blood-letting and purging remedies. In a compendium of case histories, titled Several Choice Histories of the Medicines Manner and Method Used in the Cure of the Plague (London, 1666), Diemerbroick instead promotes the use of “sudorifics”, i.e. sweat-inducing drugs, coupled with sleep withdrawal. For his own well-being and continued health, he – like many of his contemporaries – swears by the beneficial properties of tobacco. 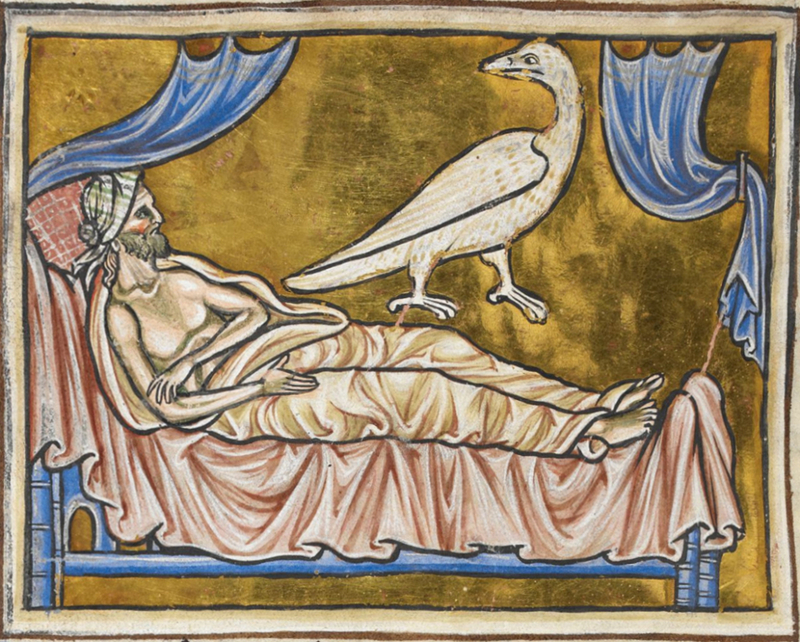 The Caladrius visiting a sick bed in an early 13th-century bestiary illumination (British Library, Royal MS 12 C XIX). While many people believed in these remedies or simply held out some desperate hope, many Londoners were also skeptical of plague cures and preventive measures (including, but not limited to, the chicken bottom regimen). London-based playwright and pamphleteer Thomas Dekker frequently voiced criticism of mountebanks and ostensibly more serious medical practitioners and argued that, in the plague of 1603, “Galen could do no more good, than Sir Giles Goosecap” (Wonderfull Yeare 52). To Dekker the cause of the plague is evident enough. It is human sin and only human sin. No natural causes or routes of transmission (often referred to as ‘secondary’ causes, as distinct from God as the primary cause of everything) are of concern to him. Dekker’s view was a majority view and was succinctly put by the preacher Anthony Anderson who held that “there is no plague but for sinne” in his Approved Medicine against the Deserved Plague (London, 1593). Woodcut illustration from the title page of Dekker’s A Rod for Run-awayes (London, 1625). 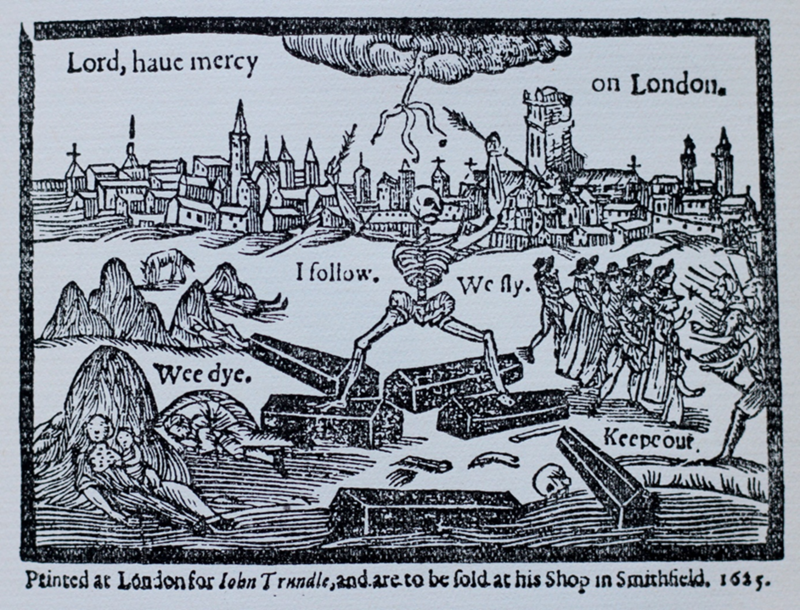 Thomas Dekker produced numerous booklets in which he lamented the poor treatment of plague victims in London. He is particularly upset about the treatment of the infected after death, when they may be handled in shameful ways, like criminals or other social outcasts. In A Rod for Run-awayes (London, 1625), he compares the burial of plague victims to the customary ill-treatment of “many a Fellon, after hee is cut downe from the Gallowes” (145), and in Newes from Graves-end (1604), he condemns the fact that the plague dead often receive the same shameful treatment as people who committed suicide, i.e. 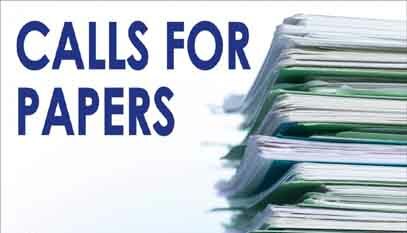 “those / Whose desperate hands the knot unlose / Of their owne lives” (93). Above all else, the idea of the mass grave is abhorrent to Dekker. He compares burial pits to hellmouths and has the animate earth itself actively gobble down dead bodies. In The Wonderfull Year, his account of the 1603 epidemic, he declares that a “hundred hungry graves stand gaping, and every one of them (as at breakfast) hath swallowed downe ten or eleven livelesse carcases: before dinner, in the same gulfe are twice so many more devoured: and before the sun takes his rest, those numbers are doubled” (40). Graves voraciously feast on bodies and those bodies are reduced to mere fodder, robbed of all humanity and individuality. In A Rod for Run-awayes (1625), it is “the raving Pestilence in every part of our Kingdome” which personally “dig[s] up Graves” (142), but in London Looke Backe (1630), Dekker writes of pits which, like the hungry graves above, remain open of their own accord “[f]rom morne, till next morne, gaping still for more” (177). The man-eating earth is fearsome, no doubt, but worse still is the indignity which terrified, overburdened, and indifferent Londoners bestow on their fellow human beings in death. After all, people can be considered culpable and the receiving earth, ultimately, cannot. For Dekker, the mass grave is the epitome of humiliation. It inevitably does a massive disservice to the dead – both as social persons and as Christians awaiting bodily resurrection. Neither is this disservice part of the divine plan – although the plague itself is certainly an expression of God’s ‘righteous’ anger – but it is a transgression committed by human sinners against those who are utterly at their mercy, i.e. the sick, the dying, and the dead. Dekker’s vision of the mass grave is not one of bodies laid out carefully, respectfully next to each other but one in which bodies, without coffins or even without shrouds, are hastily and “rudely throwne” into pits and left to rot where they land, entangled with other bodies in grotesque positions (Graves-end 93). All privacy is lost, all boundaries become void when people from different walks of life are “thrust altogether into one close roome: a little noisome roome […]” (Wonderfull Yeare 40-41). In those close and confused spaces “[t]he gallant and the begger lay together; the scholler and the carter in one bed” and a husband may see “his wife, and his deadly enemy whom he hated, within a paire of sheetes” (Seven Deadly Sinnes 42). Likewise, a rich man may have to intimately support the body of a pauper in the grave. In a poetic articulation of this grotesque inversion, Dekker writes of “one, who in the morne with gold / Could have built Castells: now hee’s made / A pillow to a wretch, that prayed / For half-penny Almes, (with broken lim) / The Begger now is above him” (Graves-end 95). Descriptions like these go beyond casting death in the traditional role of the great equalizer. Rich and poor, scholar and laborer, male and female become involuntarily and obscenely entangled and inverted and are then locked up indefinitely in this condition, conveniently out of the sight of survivors. 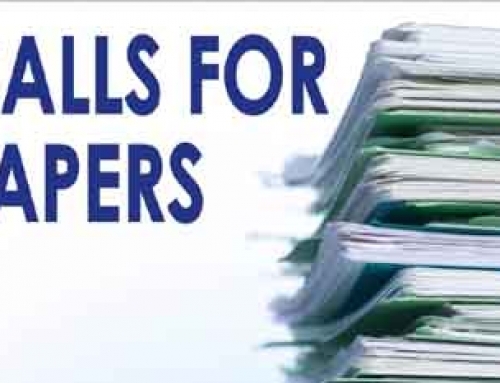 There has never been certainty about exactly where Dekker’s accounts sit between documentation and fictionalization. Nor is there ever likely to be. There are many reasons to think that he could have given a fairly accurate description of funerary practices and many reasons to suggest that he would not have done so. Dekker himself notes that his pamphlet A Rod for Run-awayes offers “a picture not drawne to the life, but to the death” (138). Authorial intent is notoriously hard to gauge (and often irrelevant) but here the narrating voice of Dekker confirms that neutral representation was never the point. Or, at the very least, not the only point. The orderly arrangement of bodies in the New Churchyard mass grave has been interpreted as a challenge to Dekker, as hard evidence to discredit fanciful versification. It is worth, emphasizing, however, that the evidence provided by the Crossrail excavation does not invalidate the reports and narratives of contemporaries, whose perceptions, interpretations, and emotional reactions are invaluable and will remain so. In any case, archaeological evidence relating to early modern plague burial is scanty. Dekker, meanwhile, tells us a lot about the state of the 17th-century mind, even if there are legitimate doubts as to how accurately he represents the state of the body. Anderson, Anthony. An Approved Medicine against the Deserved Plague: Is Any Among You Afflicted? Let Him Pray. London, 1593. EEBO. Web. 29 Aug. 2018. Barker, Richard. Consilium Anti-Pestilentiale: Or, Seasonable Advice, Concerning Sure, Safe, Specifick, and Experimented Medicines, Both for the Preservation from, and Cure of this Present Plague. London, 1665. EEBO. Web. 29 Aug. 2018. Boraston, William. A Necessarie And Briefe Treatise on the Contagious Disease of the Pestilence, with the Causes, Signes, and Cures of the Same: Collected and Newly Composed for the Benefit and Comfort of the Vulgar Sort. London, 1630. Huntington Library. EEBO. Web. 29 Aug. 2018. A Brief Relation of the Plague at Naples in the Yeare M.DC.LVI. : Where Died 10, Some Days 15, and One Day 20000 at Least, (Some Say 25000) and the Next Day But 500: With Observations, Preservatives, and Cures: Translated out of Italian into English. London, 1665. British Museum. EEBO. Web. 29 Aug. 2018. Dekker, Thomas. Newes from Graves-end: Sent to Nobody. 1604. The Plague Pamphlets of Thomas Dekker. Ed. F. P. Wilson. Oxford: Clarendon, 1925. 63-103. —. “A Rod for Run-awayes: Gods Tokens, of His Feareful Iudgements, Sundry Wyes Pronounced upon this City, and on Several Persons, Both Flying From it, and Staying in It. 1625. The Plague Pamphlets of Thomas Dekker. Ed. F. P. Wilson. Oxford: Clarendon, 1925. 135-71. —. The Seven Deadly Sinnes of London: Drawne in Seven Severall Coaches Through the Seven Severall Gates of the Citie Bringing the Plague with Them. London, 1606. EEBO. Web. 29 Aug. 2018. —. The Wonderfull Yeare. 1603. Ed. G. B. Harrison. London: The Bodley Head Quartos, 1924. Diemerbroick, Isbrandus. Several Choice Histories of the Medicines Manner and Method Used in the Cure of the Plague. London, 1666. British Museum. EEBO. Web. 29 Aug. 2018. Hartle, Robert, et al. The New Churchyard: From Moorfields Marsh to Bethlem Burial Ground, Brokers Row and Liverpool Street. London: MOLA, 2017. Crossrail Archaeology. “A Treatise Concerning the Plague and the Pox, Discovering As Well the Meanes How to Preserve From the Danger of These Infectious Contagions, As Also How to Cure Those Which Are Infected With Either of Them.” London, 1652. Queen Elizabeths Closset of Physical Secrets, With Certain Approved Medicines Taken Out of a Manuscript Found at the Dessolution of one of our English Abbies: and Supplied with the Child-bearers Cabinet, and Preservative against the Plague and Small Pox: Collected by the Elaborate Paines of Four Famons (sic!) Physitians, and Presented to Queen Elizabeths Own Hands. Ed. A. M. London, 1656. Pag. starts over. EEBO. Web. 29 Aug. 2018.